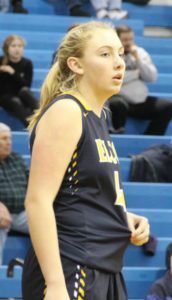 NEW HOLLAND – They hadn’t qualified for the league playoffs in recent memory. But they performed like they had been there before. The difference between basketball and soccer is that in one, you can use your hands but not your feet, and in the other, you can you use your feet but not your hands. 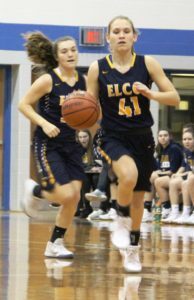 On Thursday evening at Garden Spot High School, the Elco girls’ basketball team drew from their overall competitive experience to score a 61-44 triumph over Ephrata, in a play-in game of the Lancaster-Lebanon League playoffs. The Raiders got off to a good start, played well with the lead, then pulled away from the Mountaineers late in the third period. 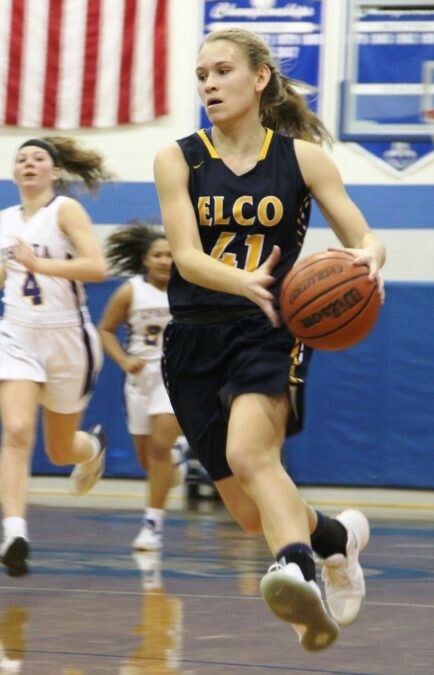 In many ways, the performance was simply an extension of Elco’s outstanding regular season, as well as a nostalgic revisit to a memorable fall. 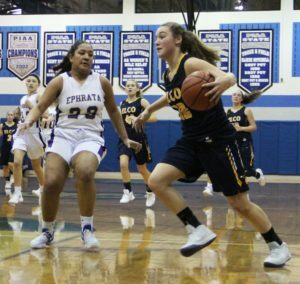 The Raiders, who are fronted by many of the same performers who led Elco to District Three and Lancaster-Lebanon League girls’ soccer championships, moved to 18-4 overall and into Saturday’s 7 p.m. league quarterfinal at Section Three champion Solanco. Ephrata, the Section Two runner-up, slipped to 9-14 on the year. 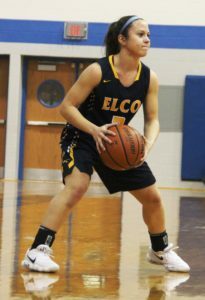 “Of our 17, there’s probably 13 soccer players,” said Elco head coach Ashli Shay. “When you have that kind of experience, you just build a lot of confidence. They play hard and they play together. 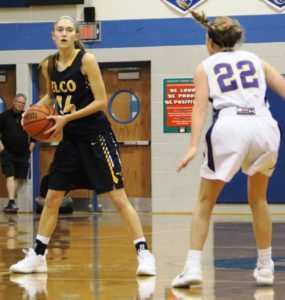 After tallying the initial four points of the game, the Raiders never trailed. 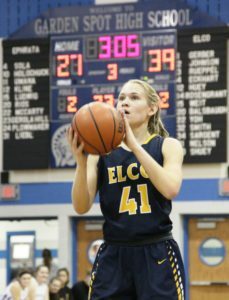 A subsequent 5-0 burst, which featured a Julia Nelson three-pointer and an Amanda Smith lay-up, staked Elco to a 9-4 lead. 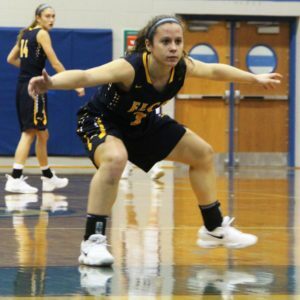 “I thought we were settling for jump shots early,” said Shay. “Jules (Nelson) has been on fire lately. But once we started to attack, it opened things up for us. We got better looks. 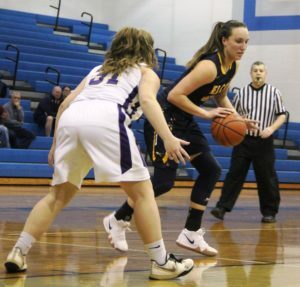 The Raiders enjoyed three different seven-point leads in the second stanza – 15-8 on an inside maneuver by Ryelle Shuey, 17-10 courtesy of a driving lay-in by Cassie Johnson and 20-13 thanks to a Jordan Rosengrant three-ball. 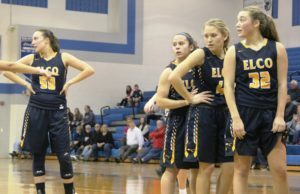 “I think at times, we did well defensively, and at other times, we didn’t,” said Shay. “I thought we had some breakdowns in transition. We want that consistent effort, all the time. The Raiders’ attack was both potent and balanced. Smith, a sophomore, tallied a team-high 18 points, and Nelson pumped in 15. Rosengrant notched 13 points, and Shuey collected 11. 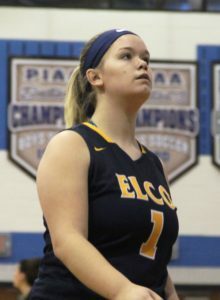 Elco outscored Ephrata 15-6 from three-point land. The Raiders made good on ten of their 13 foul shots. The Raiders created some distance between themselves and the Mounts in the third period. 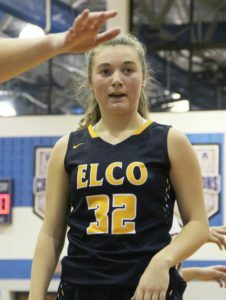 A 9-0 run in the middle of the period pushed Elco’s advantage to 37-21. Rosengrant registered five points during the 2:19 stretch, while Nelson hit another jumper and Shuey canned a couple of charity tosses. “The message at halftime was: ‘Don’t be afraid and nervous,'” said Shay. ” ‘We’re here. Let’s play.’ We just needed to up our energy. 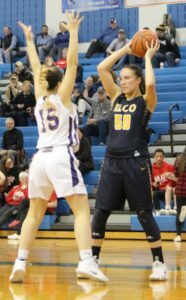 Nelson opened the final quarter with a three-pointer that pushed the Raider lead to 48-36. 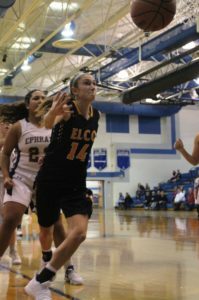 An old-fashioned three-point play by Rosengrant four minutes later made Elco’s advantage 53-39.